Perfect for beginners, and those coming back to yoga after a break ! Understand the basic principles of vinyasa yoga and Sun & Moon Salutations. Discover the fundamentals of standing postures, balances, twists, forward bends, backbends, hip & shoulder openers and inversions. On completing the course you will receive a handy “Home Practice Guide” covering a 30-minute practice, with descriptions of all key poses. Take it to the next level ! Bookings and advanced payment for these courses are essential as places are limited. 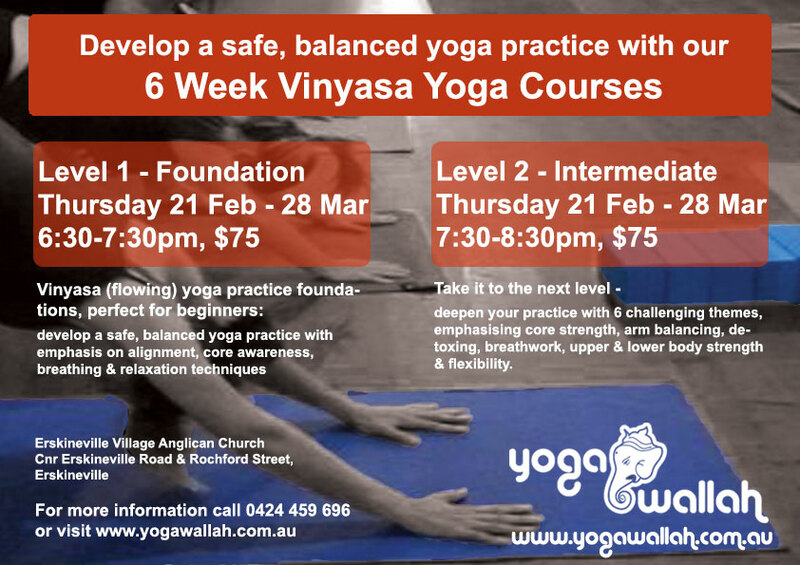 Bookings can be made via email, in person at Yoga on Rochford or over the phone with payment by bank transfer. For more information contact me on 0424 459 696, or via the website contact form. Hope to see you on the mat soon !